This is no ordinary porch. It is home to some of the most obscure trinkets, tacky artwork and delightful billboards the South has ever seen. To say it seems cluttered would be a gross understatement. Meticulously organized chaos is a better description. This porch is the brainchild of my mother but to her misfortune, has morphed into the alfresco man-cave of my step father. This porch is the porch. Decorated with baseballs, bobble heads and ball caps from MLB clubs from all over the country, the man cave [porch] is a sports fanatic’s dream pad. 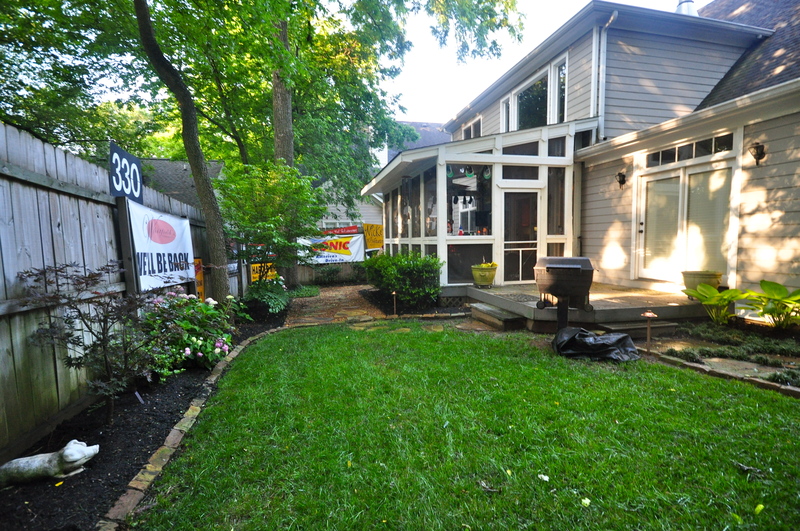 And to boot, the porch actually serves as home plate to a larger motif occurring in this outdoor space and surrounding backyard…Wrigley Field, Harold White Clark style. 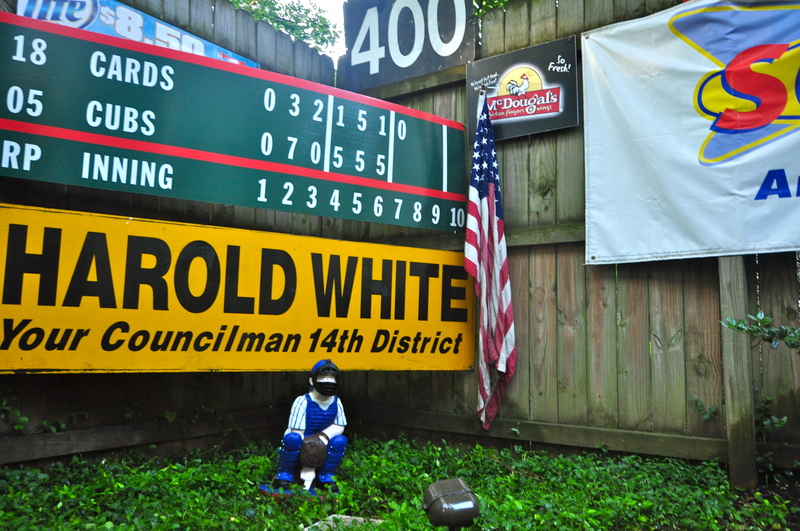 Yes, my step dad’s name is Harold (Whit for short), he is not running to be your 14th district councilman, and his obsession with the Cubs is…unhealthy? Unhealthy, yet gracious, Whit has given my mom a few square inches to decorate his baseball themed porch the way she wishes. 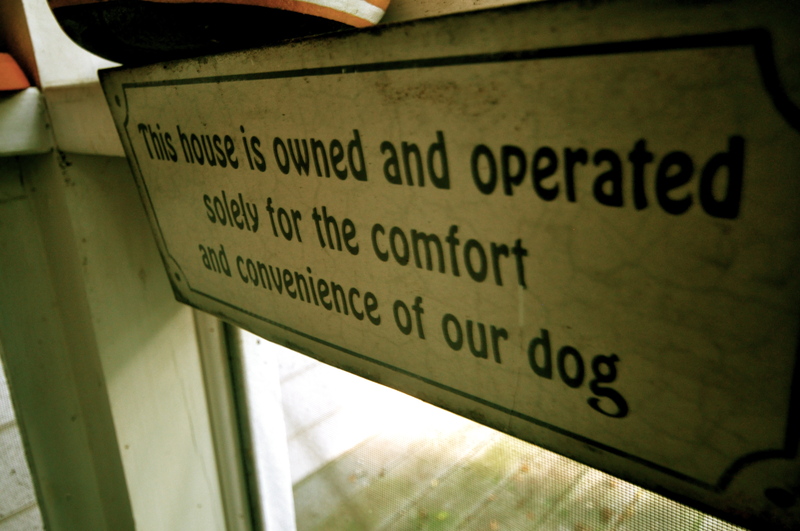 Sign above the ole doggy door. RIP Muffin. 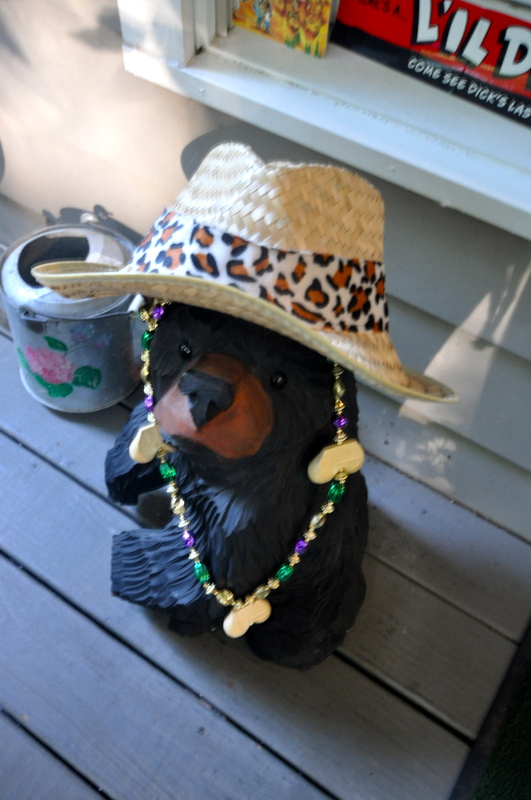 Yes, this porch is a one-of-a-kind museum of knick knacks and whatchamacallits – collected, cleptoed and gifted from around the globe. 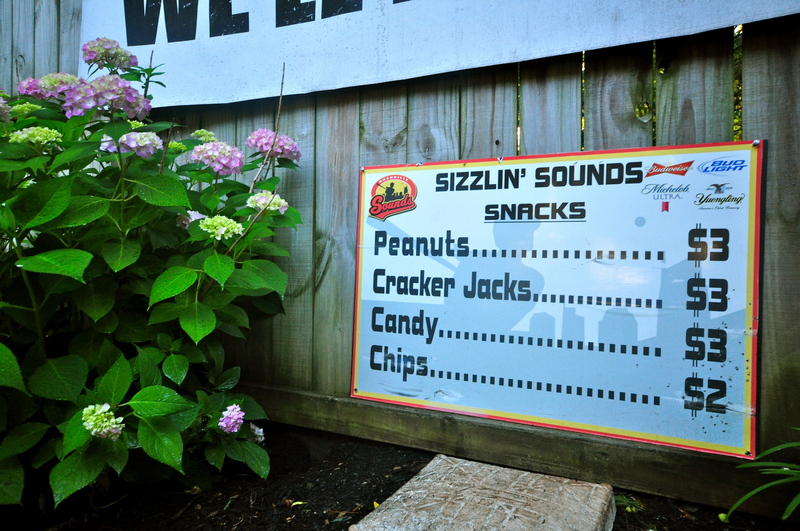 It exudes funky, southern charm with a twist. It’s cluttered. It’s inviting. It’s loved. It’s…the porch. * This post is the first of a series of blog posts about noteworthy porches abroad from my travels outside the Lowcountry. I found it necessary that my first Porch Abroad should be the porch that holds some of my favorite Nashville memories with family and friends.